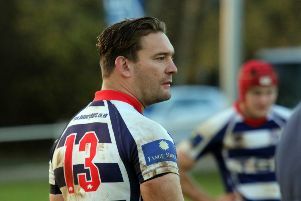 Dan Brady bagged a brace of tries as Banbury Bulls completed the double over Oxford Harlequins. Bulls secured a crucial five points in a thrilling 26-12 success at Harlequins in Saturday’s Wadworth 6X South West One East derby. Justin Parker made his first start in place of the unavailable Sam Stoop with Ed Phillips taking the ten shirt. It proved to be an intense contest and when player-coach Matt Goode limped off with an Achilles injury, Bulls were forced to reorganise with Tommy Gray moving to centre, wing Joe Mills to fullback and Jed Boyle coming on. But Bulls took the lead following a scrum five metres out. Justin Parker got the ball out to the backs and Duncan Leese released Brady who stood his opposite number up before diving over in the corner. 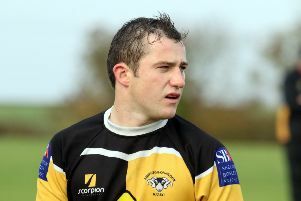 Ed Phillips nailed a tricky conversion and was then the victim of high tackle which saw Martin Nutt get a yellow card. It got even harder for Quins when Antonio Turetta also saw yellow, making no attempt to roll away after a tackle five metres out and Bulls made the extra men count. From a scrum, Parker got the ball out to Gray who showed some great footwork to cut inside and score close to the posts, leaving Phillips to add the conversion. Quins defended well to deny Bulls another score before the break. Bulls lost Gray through injury after the restart. A makeshift back line saw Matt Powell switch from flanker to centre. Nick Pratt was shown yellow for diving in at the breakdown, as did Ed Yeates for a high tackle on Powell. When both sides were back up to 15, it was Quins who dominated possession and territory. Eventually the pressure told and John Henderson whipped a neat pass to Antonio Turetta who scored in the corner and Rory Garrett converted. Quins soon scored again, Henderson played in Turetta who crashed over in the corner to bring Quins to within two points of Bulls. But Bulls weathered the storm before extending their lead. Parker went close before Ed Berridge gathered the ball and off-loaded to Leese who dived over in the corner and Phillips converted via the top of the bar. Bulls went searching for a try bonus point. The impressive Pete Boulton, playing against his old club, made a brilliant break down the left before throwing a great pass to Brady who finished in the corner. Phillips’ conversion came back off the post and the full-time whistle went.